Not all living rooms are modern in layout but that shouldn’t prevent the décor from being updated and current. An updated living room is more welcoming than one where the décor is outdated and staid. 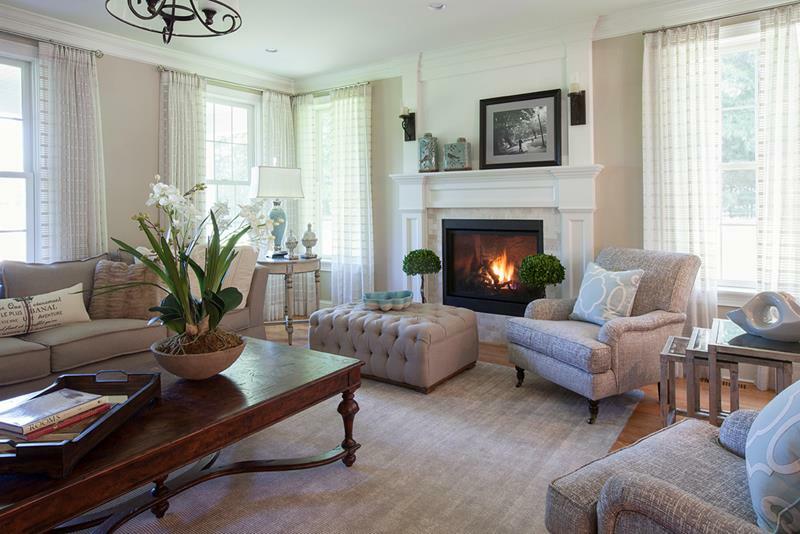 When you think of how to make a living room trendy, there are many different ways to achieve this goal – and several of them are simple fixes. It could be as simple as a new paint color or re-arranging different knick-knacks on the mantel. However you decide to modernize your living room, let the following 30 photos serve as a guide for you on the different ways your living room can come to life – no matter how old it is. 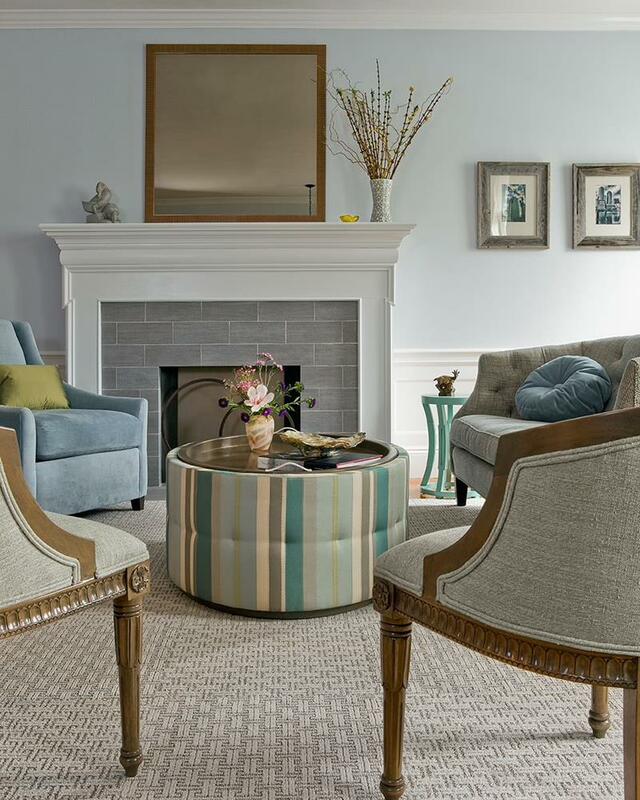 Round coffee tables and centered layouts are good for smaller living room spaces. 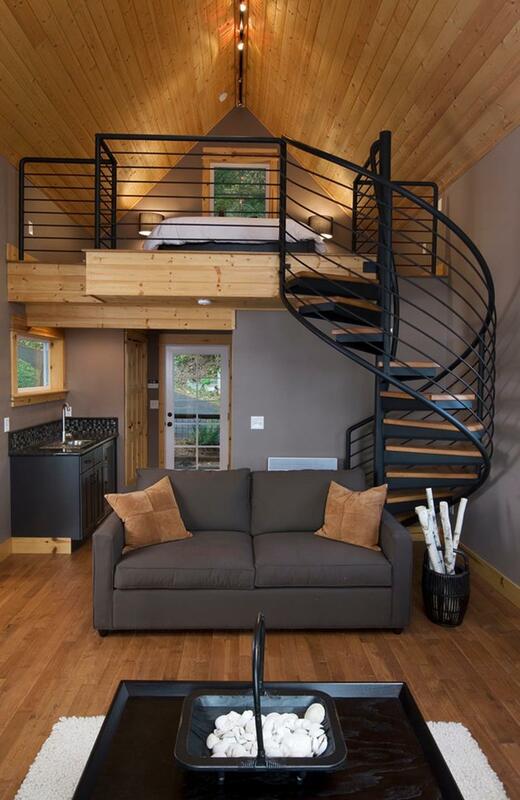 Spiral staircases are space-saving and stylish – good for tiny house layouts such as this one. 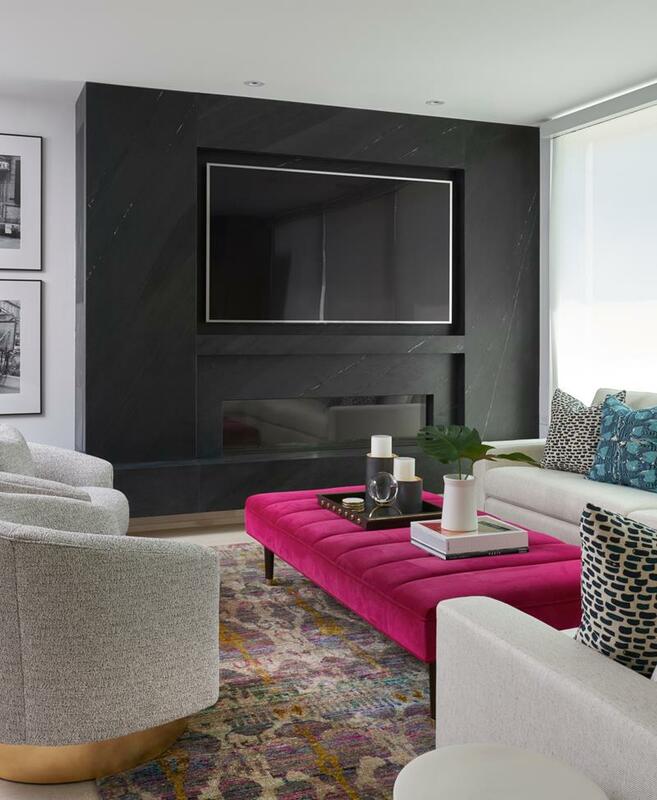 Fireplace accent walls can be jutted out and treated with fine finish materials such as the dark marble used in this example. 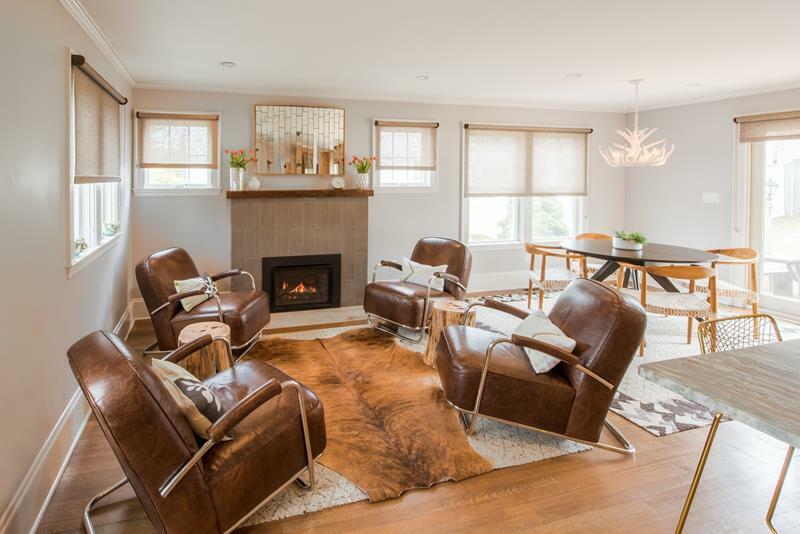 Nothing screams classic classiness like low-set leather armchairs, an animal skin rug, and log side tables. A river stone finish is great for its rounded and grey-green hues, especially for fireplaces such as this one.